A sermon during the priestly ordination of Anthony Dazieng Pwajok Joseph Dung Pwol, Peter Zakka Daluk, at St. William’s Parish Zawan (Challang), by Most Rev. 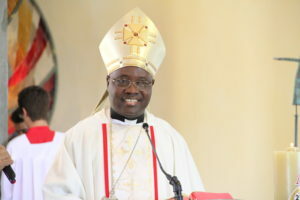 Ignatius A. Kaigama, Archbishop of Jos, 11.11.2017. 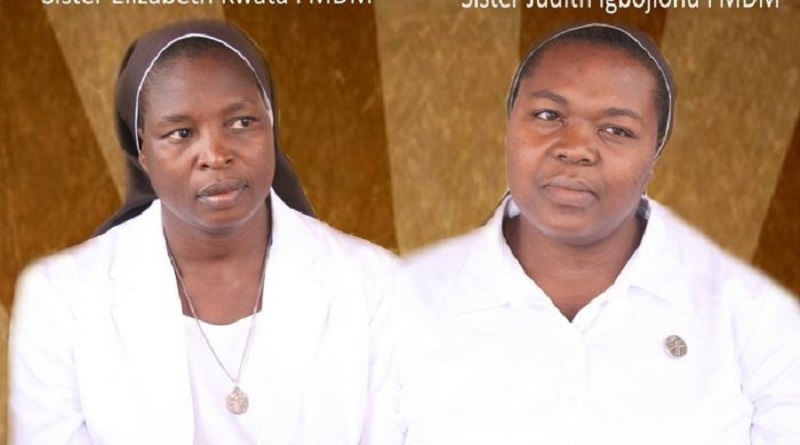 In these past weeks we have witnessed a series of celebrations of Silver Jubilees of priestly ordination and around this time too, priestly ordinations have been scheduled in Shendam Diocese of eight priests, four in Pankshin, six already ordained in Maiduguri Diocese and today, three for Jos. The Lord is providing the labourers for the vineyard. To him be honour , praise and adoration. 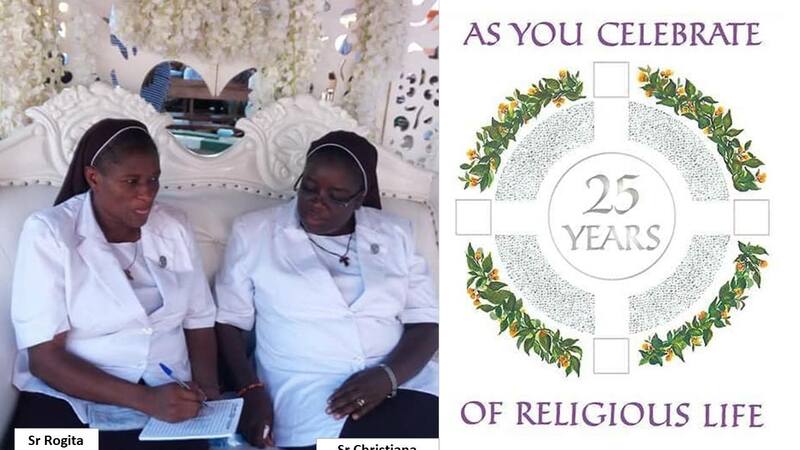 I believe that those who celebrated their Silver Jubilee were not merely being nostalgic about what happened on the day of their ordination neither were the celebrations meant to be a triumphant celebration of their personal achievements. Such moments are grace-moments which afford one the opportunity to reflect on whether since ordination, spiritually speaking, one is still at the foot of the mountain or has travelled midway or reached nearly the top of the mountain (i.e cultivating an intimate encounter with God). It is a period to show gratitude that unworthy as we are as human beings the Lord calls us to serve Him and humanity. 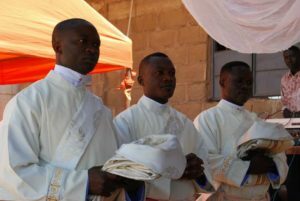 Priestly Jubilees and ordinations are therefore a celebration of God’s loving choice for mission and his providential care and guidance. He chooses men whose only qualification is that they are unqualified and weak in every human sense; yet chosen to do incredible things such as offering the Eucharistic sacrifice in which Jesus comes down on the altar in the form of bread and wine, forgiveness of sins through sacramental absolution, etc. Consider the choice of Jeremiah, young and inexperienced, not eloquent (cf. Jer 1:6), like some of us; Isaiah a man with unclean lips ( cf. Is 6:5), a poor sinner; the call of Matthew for apostolic service even though he was considered a sinner in the eyes of people because of his status as a tax collector. God is a God of surprises. He chooses the weak to accomplish enormous tasks. This is how these our three brothers have been chosen for pastoral leadership, a rare privilege which not only confers on them the dignity of the priesthood but also the duties and responsibilities involved. One of our doctors told me recently how he was ready to donate one of his kidneys to our sick priest, but unfortunately the priest passed away due to medical complications. This generous Doctor demonstrated that he was ready to risk his life to save a priest and to honour an anointed man of God. We thank you the lay faithful for seeing Christ in the priests and for your collaboration with the priests and for all the sacrifices you make to ensure that we priests live and carry out our ministry smoothly. As a reciprocal gesture, priests must continually pour themselves for others, pointing the way to Jesus as Andrew who having encountered Jesus, found his brother Simon and brought him to Jesus (cf. Jn 1). A priest not only introduces people to Jesus, he is also a bridge builder, a voice of the voiceless and he should be able to give of himself without counting the cost or expecting earthly recognition. I was at a barbing saloon in one city in Europe, when the barber finished barbing my hair, I was about to pay for his services when he told me that the person who just left the room had already paid for me! I did not know the person. I hurriedly looked outside to find him to thank him but he was gone! The barber told me that he is a priest. This is what a priest should be. He gives his time, energy, spiritual resources and does works of charity without asking for any earthly compensation or even wanting to be known. I pray that the priests we are ordaining today will be after the heart of Jesus and render such generous and selfless services to those in need without discrimination of race, ethnicity, social status or creed. The seminary prepared them for nine years. They were well formed in philosophy and theology. Now is the time not to philosophize or theologize but to give themselves like Jesus without counting the cost; to feed, lead and care for the sheep, not like hired men who abandon the sheep as soon as they they see the wolf coming; then the wolf snatches and scatters the sheep (cf. Jn 10:12), but to be loving shepherds who care for the weak, the lonely, the poor, the abandoned, etc. and joyfully share in the shepherding , teaching and prophetic mission of Christ. The readings today are a help to us priests and those aspiring to be priests, to consider the true meaning of priestly leadership. From the first reading in Numbers 11, Moses, the leader of the pilgrim people of Israel who led them through the desert was saddened that the people during their long and arduous trek in the desert complained about all they were missing since leaving Egypt: cucumber, meat, bread, water, etc ( cf. Ex. 16:3). They kept grumbling and complaining against Moses and Aaron and were almost ready to stone them (cf. Ex. 17:4) because they thought God had abandoned them after they left Egypt. Moses became tired of having responsibility over the people. In desperation he asked God , “Did I conceive all these people? Did I give them birth? Why do you tell me to carry them in my arms, as a nurse carries an infant, to the land you promised on oath to their forefathers?” (Num. 11:12). Moses experienced the burden of leadership and discovered that leadership does not lie in the ability of the leaders; it is a joint effort by the leader who is entrusted with responsibility and by God who can relieve the burden of leadership. Leadership is about the people. It involves so much selflessness that the leader like Moses is even prepared to die for his people. Leadership needs sincere collaboration. To succeed, Moses needed the help of 70 elders whom God permitted him to select from the twelve tribes and God took some of the spirit that was upon Moses and put it on the seventy elders who were to help Moses in the burden of Ieading the people. Leaders must realize that they cannot do everything; there must be a division of labour as Jethro the father in-law of Moses in Exodus 18: 13-23 advised him to share the burden of leadership with others for the work was too heavy. He advised Moses to choose among the people, capable, God-fearing men, men of truth who hate a bribe to assist him in administering justice to the people. Those chosen to help leaders must however not betray the trust leaders have in them. Our definition and understanding of leadership in the Church and in the government in Nigeria must conform to the type of leadership exhibited by Moses, who saw people as people to be served and not exploited or seen as potential voters or stepping stones to power. Leaders must treat their people with respect. Leaders need constant prayers. The leader must not only pray, but must be prayed for as St. Paul urges in 1Tim 2:2 that “prayers, intercessions and thanksgiving be made for everyone, for rulers of states and all in authority, that we may enjoy a quiet and peaceful life in godliness and respect”. Rather than lamenting or complaining, the leader like Moses must ask God for help, the strength and wisdom needed to lead the people. King Solomon prayed not for riches, treasure, honour, the lives of his enemies, or even for a long life, but for the “wisdom and knowledge to act as leader and to govern the people over whom God made him king (cf. 2Chr. 1:7-12). How many leaders today would choose wealth and power over wisdom to lead or pursuing their sometimes imaginary political enemies or amassing titles and honors instead of being concerned about the cries of the people? In our case in Nigeria, those entrusted with the sacred responsibility and who under oath accept to serve as President, Governors, ministers, senators, commissioners, local government chairmen, etc, must see their privileged positions as that of serving the common good and not a mission to a life of extravagance while the majority of people are languishing in abject poverty. We live in a society where the weak have no voice and the poor descend daily into the valley of misery; yet they are the ones who elect leaders and instead of such leaders leading them with justice, fairness and generosity, they spend their quality time fighting, debating, quarrelling and struggling about their entitlements, privileges or rights and how to use our common resources for their comfort without worrying that the public has no enough potable water, regular light, good roads; that salaries are delayed, and the prices of things never come down once they have gone up; schools and hospitals go on strike with grave consequences before their demands are met. Our over-dependence on oil has diminished our ability to focus seriously on what used to be the traditional pillars of the Nigerian economy: agriculture and animal husbandry. As the conflict between herdsmen and farmers seems to be worsening by the day, one wonders why there seems to be no concerted effort by the federal government to assist herdsmen with the necessary logistics so as to avoid pasturing their cattle on airport grounds, markets, hospital premises, high ways or destroying the farmers’ hard earned agricultural produce. A sensitive federal government knowing that herdsmen and farmers are an essential component of the economic life wire of this nation should have provided adequate ranching facilities while at the same time facilitating farming through mechanized methods and the timely provision of fertilizer and other modern farming implements which would go a long way to stop the incessant conflicts resulting in gruesome deaths. The loud silence from our authorities or the inability to find effective and lasting solutions to the circle of killings occasioned by the herdsmen and farmers conflict is not only very tragic but terribly perplexing. Our second reading from 2 Cor. 4:1-2,5-7 portrays St. Paul as a servant of the gospel who refused to do things for his personal advantage, he worked using his own hands to earn a living; his work was guided by conscience; he behaved like a father or mother towards people he led. This type of leadership could be the panacea to the grumbling and complaining in our land. We are aware that the army of hungry persons and unemployed youths are the major reasons for kidnapping, religious extremism, militancy, herdsmen attacks, strikes and even the call for secession etc in our nation. These are expressions of social discontent, a kind of social revolt against the insensitivity of our leaders. Jesus as a leader addressed people’s hunger by multiplying bread, taught the people who were like sheep without a shepherd, went about the cities and villages, always in company of people at the grassroots. He had real empathy for the people. Those are the hall marks of leadership whether political, pastoral or traditional, and not to multiply the suffering of their people or to become insensitive to their misery and cries. Priests are called to be true leaders or shepherds who are not molesting or exploiting their flock or abandoning them to thieves and brigands. 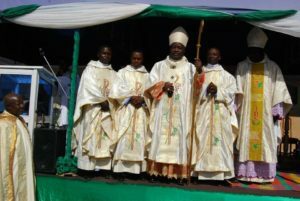 The Catholic Men Organization of Nigeria (CMON) in their recent national conference in Jos had as their theme, “Fake prophets of our days and the response of the Catholic Church”. Such fake prophets or pastors exploit in the name of Jesus and lack compassion like that of Jesus. Prophet Malachy in chapter one summarizes this attitude in his indictment of priests’ behavior. He issued a stiff warning to priests who have strayed from the way and cause many to stumble. The Holy Father, Pope Francis, during his daily morning Mass in his residence at Casa Santa Marta on Oct. 30, 2017 reflected on how shepherds should do as Jesus did, by showing mercy and making themselves servants to others.The good shepherd according to Pope Francis, “sees, calls, speaks, touches and heals”. As these new priests set out on mission, they must be aware that the priest is not his own, his life is lived for others. A priest should be prepared to be woken up to attend to the sick at any time, hear confessions in time of emergency, not glued to his TV watching Arsenal and Chelsea football match or “Africa Magic” with a sign “do not disturb” on the door or entertaining friends who do not add any value to his priestly life or ministry. It is a tragedy if our priesthood is defined today by material comfort or that money has become the soul of our priesthood? Religion is not for financial gain. St. Paul in his wisdom states that the love of money is the root of every evil ( 1Tim 6:10). Even if a priest should love money, let it be for building the people, pastoral progress or social services, not for his selfish interests. We thank our seminary formators for their great work in forming our priests, but we equally ask parishes and families to do their own part. This is why I always invite parents before admitting their children to begin seminary training to come and make an undertaking that they will be there for their children and play their role properly in the formation of our future priests, not leaving it to the seminary or the Archdiocese. 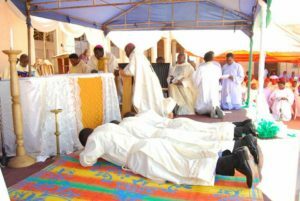 Kindly permit me to ask you these questions please: Do you want good quality, functional, holy and dedicated priests? Do you want as Titus 1:6-7 says, priests who are blameless, not open to the charge of being immoral and rebellious, beyond reproach: not proud, hot-headed, overfond of wine, quarrelsome or greedy for gain? If your answer is yes, then let us take the training of our future priests more seriously. The Archdiocese had 189 applications this year, but after very careful scrutiny only nine were accepted! Indeed, many are called but few are chosen. 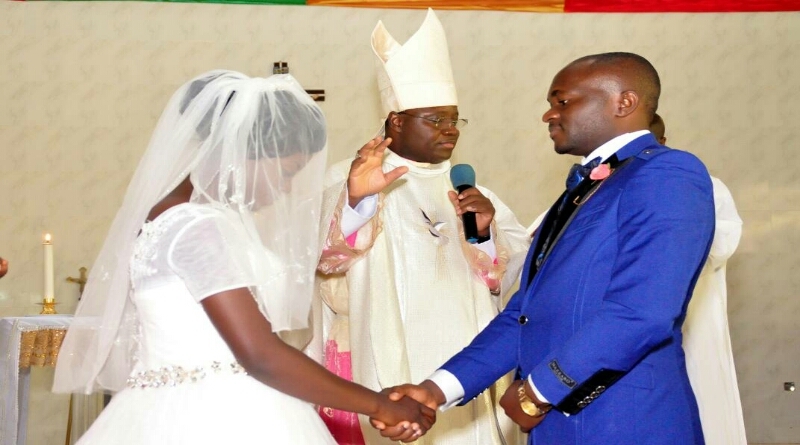 May the Lord bless our new priests with grace, strength, wisdom and fear of the Lord all the days of their life.